Travel Products and Thermometers in the United States. This giveaway will give one winner the chance to win one of their EatSmart Precision Elite Digital Kitchen Scales. Entrants must live int he Continental Unite States and be at least 18+ years of age to enter. This EatSmart Precision Elite Digital Kitchen Scale makes portion control and counting calories easy. It has a stainless steel platform, which ensures strength and durability. This kitchen scale features a large backlit LCD display and includes a TARE feature, which enables you to weigh the contents of the bowl, without including the weight of the bowl itself. This Precision Elite Digital Kitchen Scale by EatSmart is perfect for everyday tasks from weighing food to monitoring caloric intake. It displays readings in four different units; ounces, pounds, grams, and kilograms. 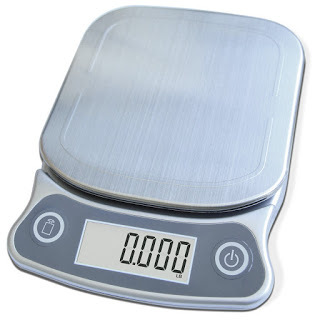 This kitchen scale also includes a free Calorie Factors Booklet, which provides education on calorie counting and proper portion control with your scale. Includes FREE EatSmart Calorie Factors guide – Portion control and calorie counting made easy! Click Here To Visit The EatSmart Website Today! Follow Them On Social media As Well! end at 12:00 AM (EST) 4/21/2016.